A stunning black marble sink for luxury counter top bathroom design. 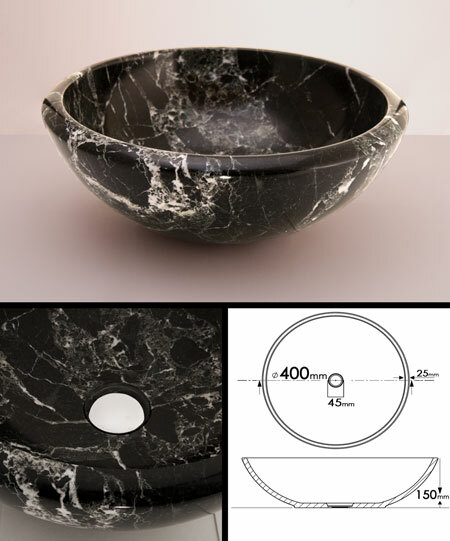 This luxury black stone sink has attractive white veining and is an ideal focal point in any luxury bathroom design. * Shiny satin polished finish.